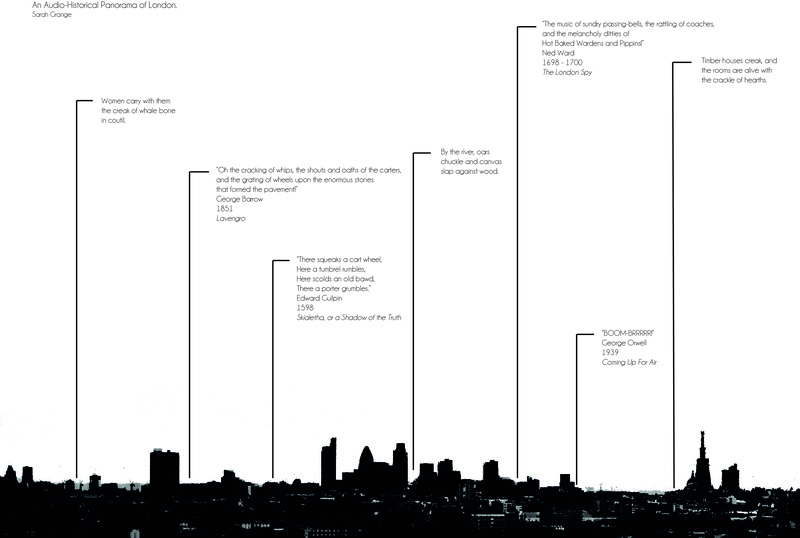 This is a work in progress exploring London sounds that have become extinct. Using the language of civic monument or communication, I attempt to bring these elements of the past back to life in the imagination of the viewer. Ultimately, I would see this as a public artwork positioned on parliament hill alongside the extant panoramic guide to the buildings.